For christmas last year Leo gave me three packs of the impossible project's px-70 color shade film (polaroid), but I haven't had a chance to try it out until today. This is what the first test shot looked like about 7 hours after it was taken. So far I'm thinking that it needs to be pushed and heated much more to gain more colour/tones. Looking at this in real life almost looks like a monochrome photograph, but once I scanned it just now the scanner seemed to find more pink, purple and slightly golden tones that I really can't see when holding the polaroid in my hand. It is nice to have new film to experiment with, nevertheless. kat: heating it up should give more colours according to impossible. I think I will put my future shots in the oven or on a really hot radiator to see what happens. good to know that others also have problems with these new films.. but the picture is nice though. 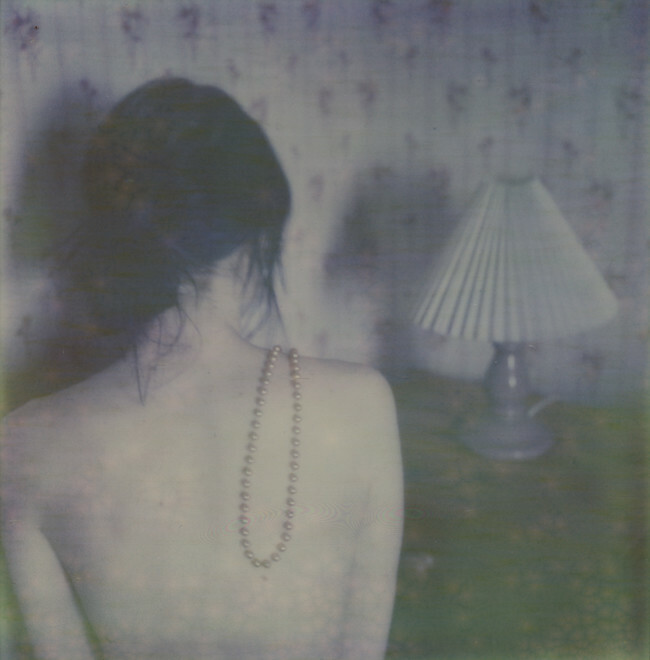 the new PX680 film from the impossible project is looking amazing. i think you'll really enjoy it . personally can't wait to try it! I have tried using the same film and had the same problems. But I think that the violet/pink colours in this picture look really awesome. I like it a lot. i like the dark tone in it. i'm excited for the ones coming up. Hej! Ursäkta men kan du hjälpa mig om hur man ger den dära separator/ tiden som du har längst upp på bloggenn! Snälla behöver verkligen en sånt hjälp!! I think the key to getting good results with this film is to leave the polaroid just lying around for a few weeks. I looked at this again not long ago, and it looks completely different. so many new colours seem to have surfaced. fernanda: it surely looks amazing, I can't wait to try it out either! kan absolut inte lova att det fungerar, men du får prova dig fram!